Dansal is a child theme of a very popular WordPress theme Twenty Sixteen. It is a customized version created especially for bloggers and passionate writers. Dansal inherits most of the features and functionalities from its parent theme- Twenty Sixteen. Dansal WordPress theme is completely responsive. It is properly optimized for all screen resolution and viewports of laptop, tabs and mobile devices. It uses the unique Twenty Sixteen’s Typography to make your every blog post cleaner and user-friendly. 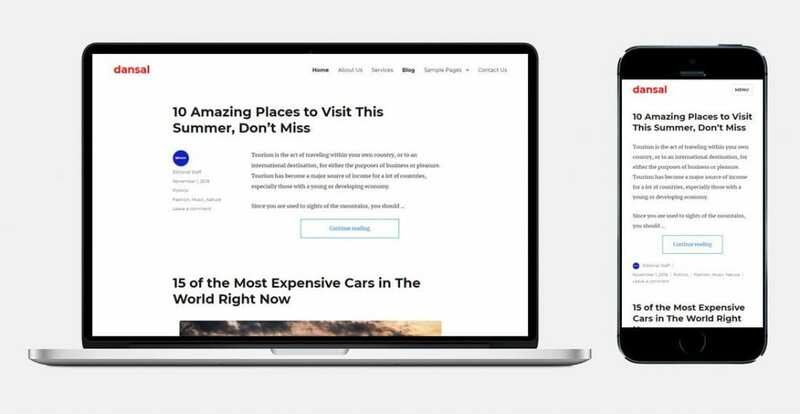 Dansal inherits lot of design and customization options so you can still continue to have the complete flexibility and options to personalize your blog the way you want.